• Twelve lifelong nightmare sufferers, 12 vivid dreamers who had no nightmares, and 12 persons who had neither nightmares nor vivid dreams were studied in a series of structured interviews, psychological tests, and other tests. 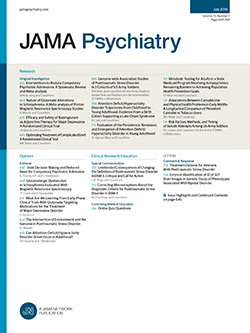 The group with nightmares had significantly higher scores on the "psychotic" side of the Minnesota Multiphasic Personality Inventory profile than the other two groups, scored higher on a "boundary deficit" score of the Rorschach test, and had more first- and second-degree relatives with nightmares, psychological problems, and psychiatric hospitalization. There were no significant differences between the groups with vivid and nonvivid dreams. On interview, the frequent nightmare sufferers were a group of sensitive, open persons who had features of the "schizophrenic spectrum disorders," but who also had artistic and creative tendencies and interests, in contrast to the other groups. These results confirm and extend our previous findings in a group of 38 frequent nightmare sufferers.